Happy Easter! It’s been quite a while since I last posted due to the fact I was ‘baking’ two very important people in my tummy. Whilst pregnant I was diagnosed with gestational diabetes which meant I had to cut back on sugary treats – not ideal when you write a baking blog! Just over two months ago I became ‘Mummy’ to two (yes – two, I was pregnant with twins) beautiful girls. The last two months have flown by in a haze of nappies, sleepless nights and cuddles but it has all been worth it. 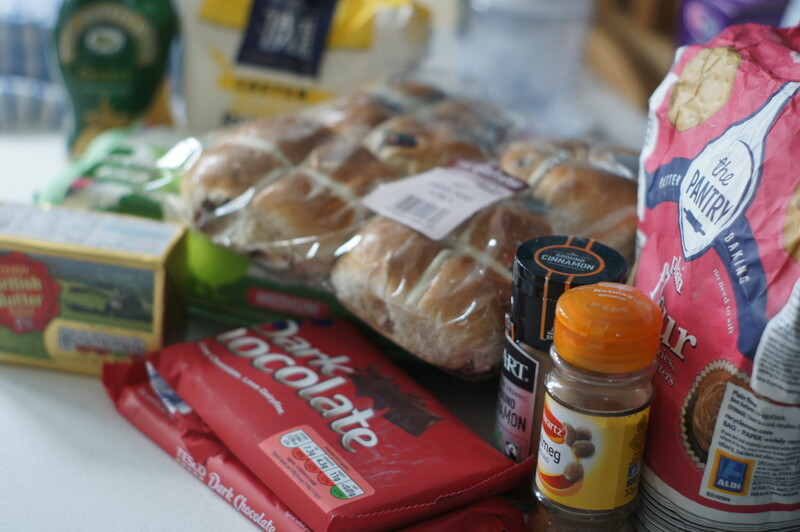 We are just about getting into a routine which has meant I have been able to ‘start’ thinking about baking. 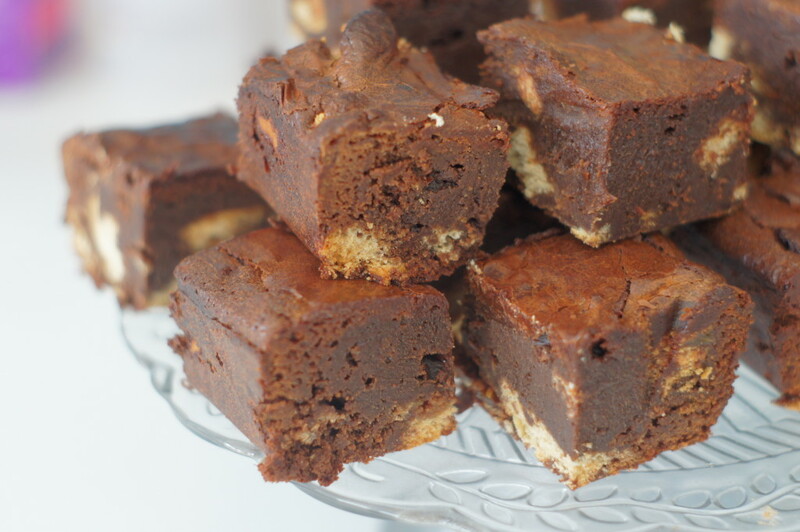 Last weekend I made these Mini Egg brownies to get myself back into the swing of things. 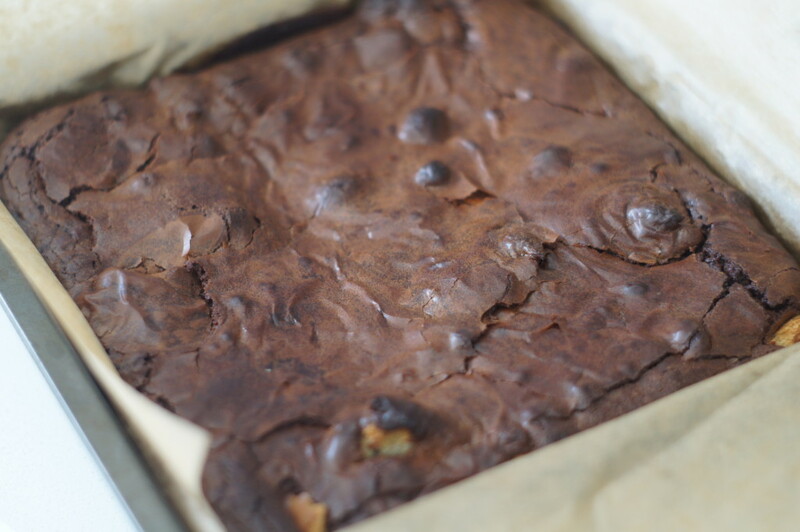 I had seen this recipe for hot cross bun brownies on Pinterest and was keen to give them a go as they combine two of my favourite things. The recipe is by renowned chocolatier Paul A. Young and is from Delicious Magazine. This is the perfect recipe to make if you have any hot cross buns leftover after Easter. It’s an easy recipe to make as you make it all in one saucepan so you do need quite a large saucepan. It does require some time to set and then chill overnight so if you’re planning on making them for a particular occasion you’ll need to bear this in mind. You’ll need a 20 x 20cm baking tin. 1) Melt the butter and syrup in a large saucepan over a medium heat. Add the sugar and spices, then simmer for 3-4 minutes until dissolved. 2) Take the mixture off the heat, add the chocolate and mix with a wooden spoon. Add the beaten egg and mix in until smooth. Finally, add the flour and beat until incorporated. 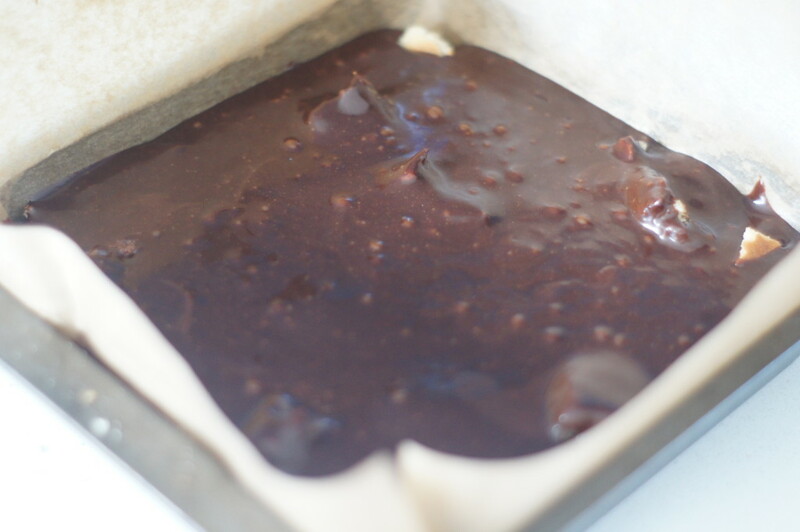 3) Line your 20cm square tin with baking paper. 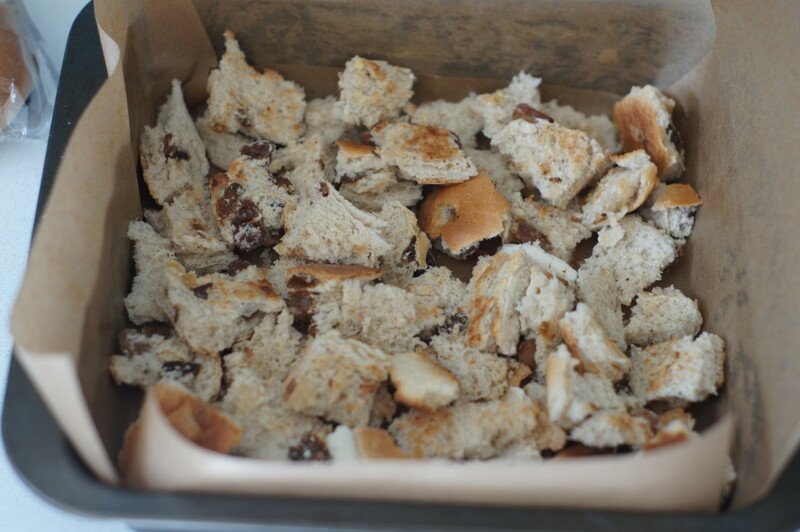 Tear the toasted hot cross buns into rough 2cm square pieces and scatter them into the tin (The number of hot cross buns you will need depends on how big they are – mine were quite large so I only used 2). 4) Heat your oven to 180°C/160°C fan/Gas 4. 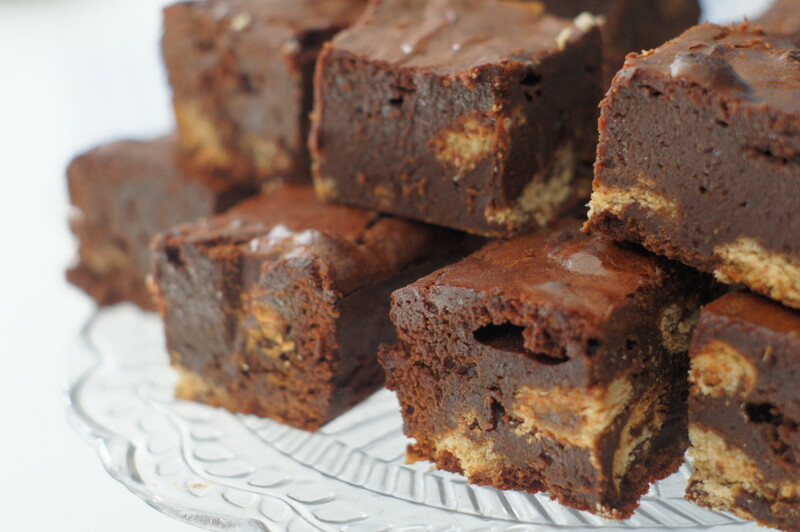 Spoon the brownie mix into the tin and allow to stand for 15 minutes so the mix settles over and into the buns. 6) Allow the brownies to cool, then chill overnight. The next day, turn out, remove the baking paper and if you want to trim the edges (which you can then nibble!). Turn the right way up and cut into squares to serve (I made 16). A knife dipped in hot water will make this much easier.